Susan is excited to be a guest at Florida Supercon – Friday, July 5th through Sunday, July 7th, 2019 – at the Miami Beach Convention. She will be signing autographs and taking photos with fans during the event. 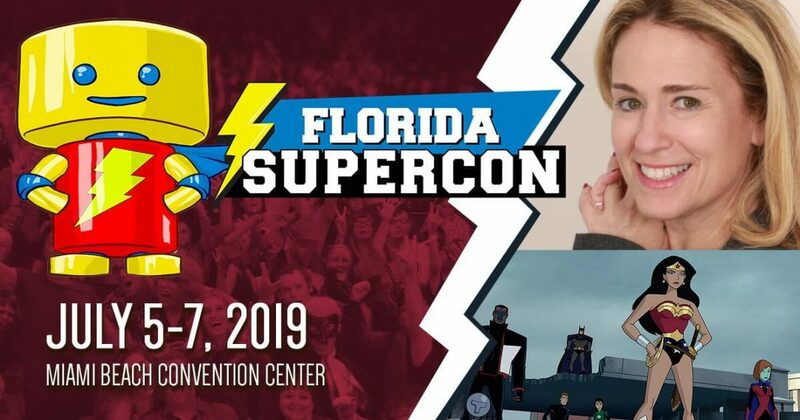 Florida Supercon brings special celebrity and creative guests for fans of comics, superheroes, science fiction, anime, cartoons, video games, wrestling and more. Florida fans, get ready for the most fun you’ll have all year! Bring your friends or come with your family. Anyone at any age can find something to ‘geek-out’ about at Supercon!